The drought myth "Britain is wet: droughts don't happen here" is busted by Professor Len Shaffrey (University of Reading), David and Fran Herdman (dairy farmers) and Dr Rebecca Pearce (University of Exeter). View all AboutDrought videos via our YouTube playlist and subscribe to our YouTube channel. 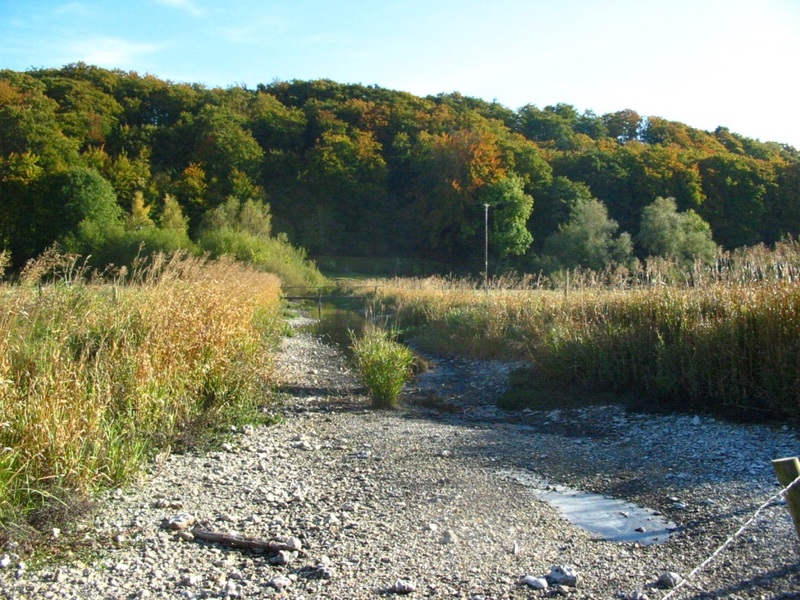 Watch this Introducing ENDOWS webinar to get an introduction to our current phase of work within the UK Drought and Water Scarcity Programme - ENDOWS: Engaging diverse stakeholders and publics with outputs from the UK Drought and Water Scarcity programme. View other Drought and Water Scarcity videos. The information you provide will be stored in our MailChimp account. Information about MailChimp and the General Data Protection Regulation (GDPR). Transcripts of the episodes can be found on the Experiences of drought page. Droughts and water scarcity jointly pose a substantial threat to the environment, agriculture, infrastructure, society and culture in the UK, yet our ability to characterise and predict their occurrence, duration and intensity, as well as minimise their impacts, is often inadequate. 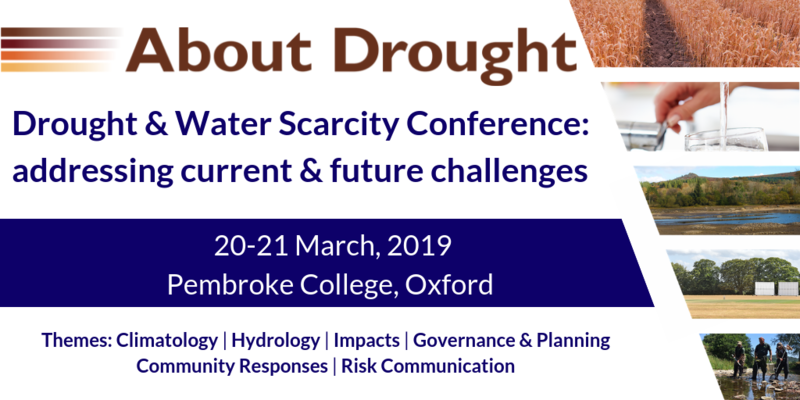 The UK Droughts & Water Scarcity research programme is a five-year interdisciplinary, £12 million+ NERC programme in collaboration with ESRC, EPSRC, BBSRC and AHRC. It is supporting improved decision-making in relation to droughts and water scarcity by providing research that identifies, predicts and responds to the interrelationships between their multiple drivers and impacts. 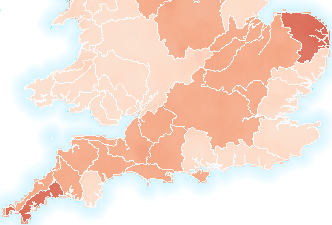 Drought datasets, interfaces for accessing and visualising data over the web and guidance for use of the data. The National Drought Group (NDG) met in January to assess the water resource situation and actions being taken to reduce risk for summer 2019. The Environment Agency says farmers will be allowed to take up more groundwater to irrigate crops during the ongoing heatwave. Len Shaffry explains why the UK is experiencing such a hot and dry spell. The Environment Agency’s Lee Rawlinson, area director for Greater Manchester, Merseyside and Cheshire, on the importance of being prepared for dry spells. United Utilities has submitted drought applications to the Department for Environment, Food and Rural Affairs to extract water from Ullswater, Windermere and Ennerdale Water. Environment Agency staff rescue fish from River Teme, Herefordshire, as river dries in current heatwave. United Utilities to introduce 'hosepipe ban' to "safegaurd essential supplies". Scottish farmers see the affect of the current hot spell on availability of fodder for livestock. Water companies in the UK encourage water conservation during current hot spell. Australian state provides aid to help with the impacts of drought, but how effective is it? The current heatwave is effecting not just the UK, but large areas of the northern hemisphere. What is it's cause? Farmers are struggling to cope with worst drought in 100 years in New South Wales, Australia. Water is available for critical needs, however, for Cape Town residents, the daily limit per person from municipal supplies is now 50L a day. Large areas of the Iberian Peninsula are experiencing extreme drought conditions. New research shows that droughts may be more costly than floods in cities.